I thought it made the most sense for me to put this blog post together to explain the question that I get asked so many times which is "what is Scentsy?" It's a fair enough question, Scentsy was founded in 2004 but it has only been around in the UK for about five years. I think the easiest way to explain it is to show you so here is my video explaining "what is Scentsy"
Click here to view my website and order. Our wax bars are made from food grade paraffin wax. In short, if you're a candle lover or someone who enjoys fragrance then you will adore Scentsy. I honestly feel so confident in saying that to you. The quality of their warmers is absolutely fantastic. I have created videos to show some of the ones I have up close and the detail speaks for itself. 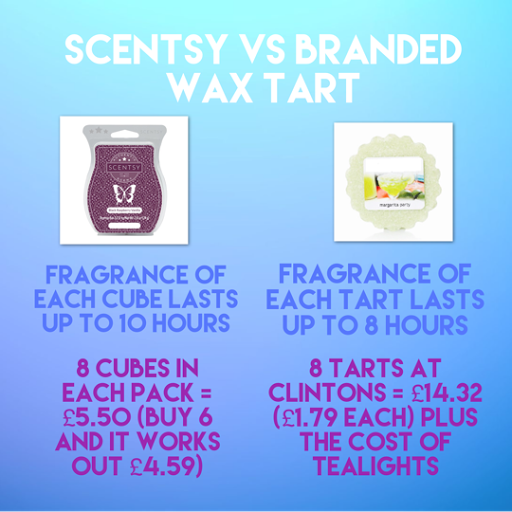 I get asked quite often how it compares to a certain well established American brand and my reply to that is that they both have a wide range of fragrances, in my opinion Scentsy wax cubes fragrance lasts a lot longer than the brand's wax tarts and we are more than half the price. Also their tarts are designed to be used with a tealight burner, burning wax to a high temperature rather than warming wax like Scentsy Warmers do means that the fragrance is realised a lot quicker and of course, any flame carries a lot more risk than an electric device that only warms the wax to body temperature. I do have a Facebook group and a Facebook page so please do come and join those to keep up-to-date with the latest products. You can order directly through my website here which will then deliver directly to you. Now I want to talk to you about why I decided to become a Scentsy consultant because it is something that I think a lot of fragrance lovers would love to do. 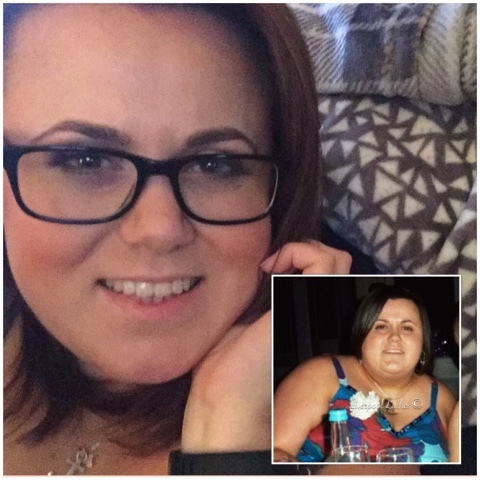 I became a Scentsy Consultant, purely to fulfil a dream I had. I have said this in a previous post but back in 2015 I looked into and invested a lot of money to create my own wax melts but the standards surrounding the packaging changed and it meant that things were making it more and more difficult to do as I wanted. I love candles, I love fragrance so that itch that I had for it all just never went away. I finally decided to join Scentsy as a consultant so that I could share it with my friends, family and clients. Generally my beauty business is a female predominant client base so it fits so well as it's generally us ladies who enjoy a lovely smelling home as well! When you join Scentsy you have to join under a "sponsor." This person basically acts as a big sister or brother to you, helping you through starting up your new business, placing your orders, answer any queries and much more. I joined under one of my followers funny enough. Joanne who has helped me through and answered my ridiculous amount of questions. The more I learnt about the brand - although I had been a customer for three years - the more I thought "I would love a team of my own and be a big sister to others." I just love helping people, I love motivating people and I love helping businesses and I feel like my experience with social media and brand building really helps give a huge head start on that. "I'm not a sales person"
You might say to yourself that "I am not a sales person" and do you know what? Neither am I! Think of it this way, let's say a friend asks you what is your favourite mascara is and you tell them the name, how good it is with giving your lashes volume, that it doesn't flake on you... the list goes on as you stand there talking about your beloved mascara. So of course what happens then? Your friend goes to by it and the brand make some money from your recommendation. When a product is a good product it ultimately sells itself, if you genuinely love it and know that others will too then just talking about it is enough. That is literally what I'm doing as I know that candle hoarders and fragrances lovers like me will love it. "I'm not sure I could go and do a party at someone's house"
You don't have to! We are a direct selling company so it does involve placing orders but how you take those orders is up to you! You can choose quite a few options to take your orders, you could do a 'basket party' which literally means you would lend your party testers, order forms and catalogues to someone to take into their work with them (let's say a big office) that person would then let everyone sniff them, collect all of the orders and bring them back to you to process. Perhaps you know a business such as a hairdressers that would take the basket for a week and collect the orders that way. You could host an online party via Facebook which just involves a little planning but is pretty straight forward. 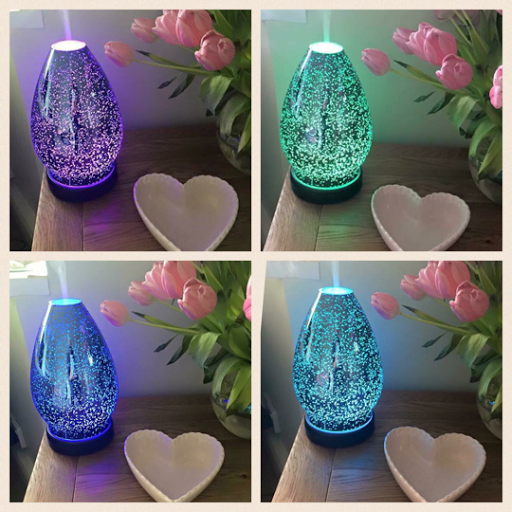 If you have your own business then simply just displaying a warmer or diffuser is enough to spark an interest when they see how fantastic they are. Also customers can place their own orders via your website that will be delivered directly to them and you would offer great customer service and advice to help them along with providing them with samples etc. "What happens if I changed my mind after joining"
If you haven't placed an order within the previous three months then your Scentsy account will be deactivated. There's no fees or charges to pay. I say this, not because it's likely but because that was the question I asked straight away before I joined and felt better that I wasn't tied into some sort of contract. I wanted to write this post as today is my one month anniversary with Scentsy and at present I have three lovely consultants as part of my team who are all beauty therapists and enjoying showing their friends, family and clients our brand. As a self employed therapist myself it's nice to be part of a team with something so exciting and fun and I genuinely enjoy helping them with ideas and social media images as well as (hopefully) inspiring them with it. As I have said from the start to anyone who joins, it's your business, I'm not here to push you into sales and pressurise you - no one wants that. I'm happy for you to run your Scentsy business as you choose and I'm just here to help you get started, keep you updated and as a support network in my team's secret Facebook group who are all lovely and happy to help each other. I know this sounds cheesy but hear me out here, now is a fantastic time to join Scentsy (go on, ask me why) The reason is Scentsy is only a baby in terms of brands in the UK, we aren't saturated with so many that everyone knows someone who is a consultant so it means that we have more ears to spread the word to! If you are thinking about joining as a consultant in my team or would like any more information, you're welcome to message or email me (liverpoollashes@yahoo.co.uk) If you would like to join - click here! Let me finish with this, Julia Moran, a good friend and director of Creative Academy Manchester sent me this video when I first told her about wanting to produce my own wax melts and I feel like it's perfect for all new businesses. The message is strong, follow your dreams. I've watched this video too many times to count but it's so true. Finally (and I nearly forgot to say this...!) I have made a new You Tube Channel just for my Scentsy stuff so if you'd like to subscribe for more videos - click here.